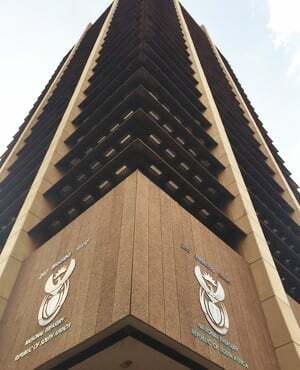 Johannesburg - National Treasury is pressuring the Public Investment Corporation (PIC) to provide as much as R100bn to fund struggling state-owned enterprises, according to two people with knowledge of the situation. The PIC, which manages state-employee pension funds and has about R1.86trn in assets, has been asked by the Treasury to buy its entire R12bn stake in Telkom to pay for a bailout of South African Airways (SAA), said the people, who asked not to be identified as the talks are private. PIC chief executive officer Daniel Matjila has rejected the request, saying a purchase of the 39 percent shareholding would leave the company overexposed to the landline provider, they said. After a bailout for SAA, which is technically insolvent, the government needs cash for state power utility Eskom, oil company PetroSA and defense firm Denel, according to the people. The companies have been beset by allegations of mismanagement and corruption. The management of state firms was cited by rating agencies when they cut South Africa to junk in April. Matjila is willing to buy about R2bn worth of Telkom shares, which would boost the PIC’s stake to about 18 percent, the people said. The PIC will make investment decisions in terms of the clients’ mandate, it said in an emailed response to questions. PIC chairperson Sfiso Buthelezi, who is also deputy finance minister, isn’t currently taking questions on the PIC, the National Treasury said in emailed comments. He gave his full support to the board and CEO last week, it said. The PIC has helped the government raise money before. In 2015 it bought the state’s R25bn stake in Vodacom to raise funds for Eskom, which was struggling at the time with countrywide blackouts. The money manager has holdings equivalent to about 13 percent of the market value of companies that trade on the Johannesburg Stock Exchange. The battle over the PIC’s leadership and funds represents the latest struggle over the management and independence of a state-owned enterprise, with the pensions of public-sector workers including nurses and teachers at stake. On Thursday, the Federation of Unions of South Africa, SA's second-biggest labour union grouping, said it would consider replacing the PIC with privately owned money managers if its members’ savings are used to bailout state entities. The impasse between the finance ministry and Matjila was behind last week’s accusation that the CEO used PIC funds to finance a personal project, the people said. Matjila, 55, denied the allegations, and his response was accepted by the board after a lengthy meeting. Buthelezi wanted to suspend Matjila and replace him with a more co-operative candidate and the board continues to investigate the CEO and deals he has overseen, the people said. After the meeting, the PIC’s board said it had confidence in the ability and integrity of Matjila and rejected allegations it wanted him removed. “We are not aware of any new CEO being sought,” the PIC said. The running of businesses including SAA led to clashes between President Jacob Zuma and former finance ministers Nhlanhla Nene and Pravin Gordhan. At Eskom, acting CEO Matshela Koko and chief financial officer Anoj Singh have both been suspended after being linked to questionable contracts. An internal report found that Trillian Capital Partners, linked to the Gupta family, and US consultant McKinsey & Co made R1.6bn in fees, according to amaBhungane and Scorpio. In August, Finance Minister Malusi Gigaba told executives of the Congress of South African Trade Unions (Cosatu) that he can’t guarantee the government won’t attempt to make use of funds held by the PIC to recapitalise state-owned enterprises and fund other projects, Business Day reported, without saying how it obtained the information. That’s caused concern among labor unions. “The union reserves its rights while considering options to stop any public servants’ pension fund money being wasted into SAA,” the Public Servants Association said in a statement on Friday.